Our laboratory produces a range of nasal sprays which are able to deliver nutrients and medications very effectively into your systemic circulation bypassing the stomach. 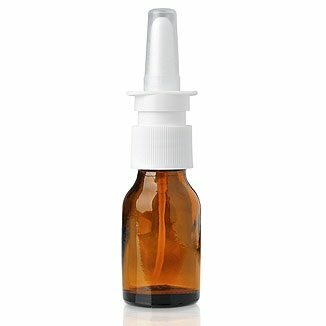 Nasal sprays are a convenient way to deliver certain compounds which otherwise are only effective if delivered by injection. Our laboratory is equipped with an appropriate sterile facility required to produce sterile medications. In addition our compounding pharmacist has over 20 years experience with sterile compounding to ensure the products we produce are indeed sterile so you can trust the quality of our products. We are aware of other compounding pharmacies producing nasal sprays who do not have sterile facilities which is against USP regulations.